I just thought I would write and tell you how grateful I am for everyone involved in the writing of your two books. As I sat in my living room one morning I felt Sasquatch with me. I seem to be directed to Regina Meredith’s website and subsequently came across the interview she did with you. I managed somehow to find your first book online that morning and began reading. To say this book rang true for me was an understatement. 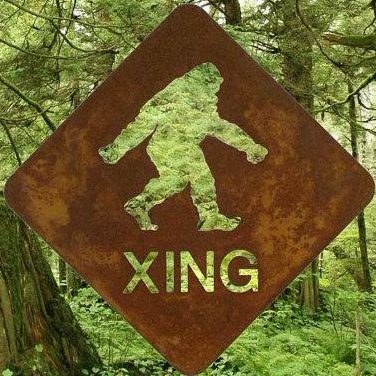 I couldn’t wait to show my husband when he got home as growing up it puzzled him how his family never came across any evidence of Sasquatch (his father ran a large trap line here in Alberta,Canada) Therefore , when he was younger he was adamant they didn’t exist. I knew this book would explain a lot to him. So when he arrived home I asked him ‘guess who spent the day with me?’ He thought for a moment and said ‘Bigfoot’. I have since bought both books and we both keep reading and re reading . Both of these books explain so much of what we have been looking for.